In the run-up to their hiatus, Berryz Kobo released one final photo book, 'Berryz Kobo 2004-2015'. The contents include two page essays by each member, penning their thoughts on the hiatus. 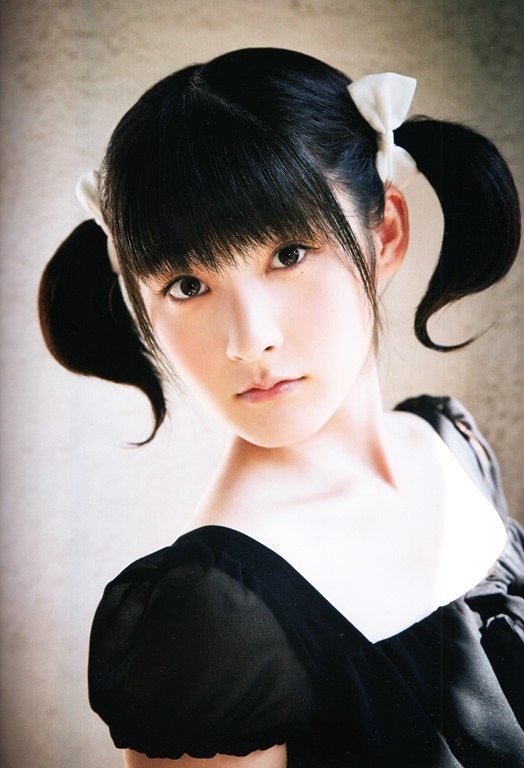 Below is a translation of Berryz Kobo member Tsugunaga Momoko's thoughts on reaching an end. For me, Berryz Kobo was where everything started. If it wasn't for Berryz Kobo, I wouldn't be who I am today. 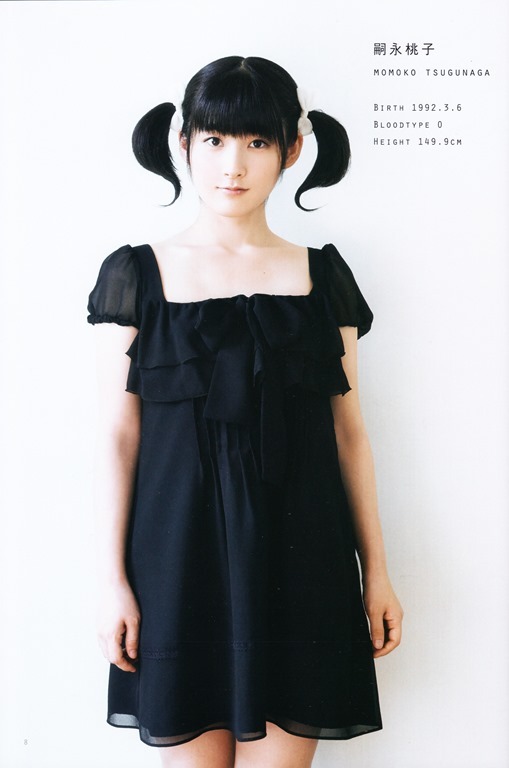 I think that the Momochi that you see on the variety circuit exists because Berryz Kobo existed. The 7 of us truly are special ♥ You could say that we have the same tastes, that things amuse us in similar ways. Our final recording, our final cover shooting, our final music video, our final tour...... Now, we're in a state where the things that Berryz have continued to do for over 10 years are ending, one by one. While the thoughts are overwhelming me, I'm definitely feeling sadness at the same time. It's sad to say goodbye due to our hiatus, and I'm sure that the fans feel the same way as well. But it wouldn't be very Berryz to be in the dumps because of that reason, and since there's so little time left, it would be such a waste to finish things with sadness. We definitely want to be earnestly fooling around until the very end! Currently we're in the midst of deciding the setlist for the 3rd of March. Even for that Budokan performance, as much as possible, I'd like to end it with a fun mood. When it comes to setlists, we've recently been taking the lead more often in making the choices for them. It's not like we've become the people in charge of it, but often, the pattern would be that I'd point out to (Shimizu) Saki-chan, 'How about this? ', and the 2 of us would discuss it. The other day, the two of us were discussing it in our hotel room, and we were like 'yup yup yup', until 5 in the morning. (laughs) A night with Saki-chan, just the two of us ♥ It was really fun to snack in the midst of it ♥ We couldn't make up our minds. Deciding on setlists is unexpectedly troublesome. We've got the autumn tour, we've got our bus tour, we've got a dinner show... and in the midst of that, the first thing on our minds is, as much as possible, to not let the songs overlap. And while thinking about it, we'd be like 'We haven't done this song recently. But isn't it a bit too ancient?' or 'Would it be too much of a leap to go from a mature song to this one?' There are an infinite number of things to keep in mind. Recently we've often been told, 'It's the end, and yet you're in a pretty good mood'. Actually, it's something that we feel too. The 7 of us often feel connected. At this autumn tour, there are times when we're singing 'Towa no Uta' and I really feel like crying. Rather than it happening at every performance, there are some performances where my heart gets deeply moved. This time, Berryz will be entering a hiatus, but for me, I don't think that we've wrapped everything up! Honestly speaking, there are still things that I want to do as Berryz. Or rather, being in Berryz, the things I want to do just keep popping up. As you know, I'll become the Playing Manager for Country Girls in the future. Talk about it came along once Berryz had decided on entering a hiatus, as I had been saying that I would still like to continue on as an idol. Being an idol is my calling! The other members may have mentioned this, but for this hiatus, talk about it came about roughly when we were doing summer events in 2013. The topic on everyone's lips was 'What'll we do, heading towards our 10th anniversary?' On that note, the 3rd of March last year was the exact day of Berryz' 10th anniversary. And so, one opinion that floated about was 'Isn't there a possibility that we could end things cleanly at exactly 10 years?' In truth, all of us including myself were in our twenties. We each had things we wanted to do, we each had our own vision of the future. Since the time when Berryz Kobo would separate would eventually come, that would be the cleanest time to separate. That is, upon our 10th anniversary on the 3rd of March. The 7 of us held that same opinion. But due to various circumstances, in the end, we couldn't finish at the end of March 2014. That said, since we started our discussions in summer, realistically, we had started way too late. So with that, the topic itself got dropped. My thoughts were that if we couldn't end it on our 10th anniversary, wouldn't it be fine to continue on for longer? It would be a beautiful legend for us to finish exactly on our 10th anniversary, but since we'd missed the boat, I'd like to continue on. It wasn't like the other members found Berryz to be so bad that they were rushing to immediately quit. But from that, it led to the question of the paths we individually wanted to move on, and things built up to a momentous conclusion. And the conclusion, as we announced on the 2nd of August of 2014, was that we would enter a hiatus in the 3rd of March, 2015. Within that 40 minutes break, my feelings had shifted slightly. 'Right! Let's keep on building up our legend until the very end!' I guess that I had prepared myself for the worst, in the best sense of the word, and I felt like I would made a fresh start. That's why I don't feel any regret at all now. Something that I think is great about being an idol is that I'm able to do all sorts of things. Singing, dancing, having our photos being taken, magazine work... I'm not good at keeping on doing just one thing. Being able to do so many things, being an idol is the best. (laughs) Since being a part of Berryz Kobo's activities is what led me to think like that.